Mommy's Idea: Win a Tupperware Quick Shake Container! A Marvelous Mixer for Dressings, Drinks, and Marinades! 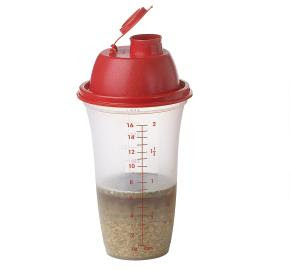 No matter what you're mixing, you're just a shake away with this instant two-cup blender! The removable blending insert ensures quick, thorough mixing of virtually any ingredients: diet drinks, smoothies, milkshakes, marinades, salad dressings, scrambled eggs, pudding, and more! Perfectly shaped for the palm of your hand, this miraculous mixing machine features standard and metric measurements and Chili Seal with pouring spout. 4 1/8"Dia. x 8"H. 2-cup capacity (500 mL). Here's how . . . 1. Check out My.Tupperware at www.my2.tupperware.com/claireevans. 2. Come back here and leave a comment telling us one item you would love to have. Contest ends at midnight EST Thursday, October 2, 2008. Good Luck! I am a single divorced mom to a wonderful 3 year old little girl! I used to work Underwriting Homeowners insurance but left due to medical reasons this year and I am now on disability. I have Hyperthyroidism, Chronic Epstein Barr, Poly Cystic Ovarian Syndrome, Celatic Disease, Anxiety disorder, and I suffer from Panic attacks. I am currently working with an army of doctors to try and get my life back to normal. Since I am home bound most of the time (and only 29 years old) I live online and cherish the wonderful friends that I have made online. I sell Tupperware through my website www.my2.tupperware.com/claireevans and I also sell hair bows, baby onesies and jewelry on Etsy http://www.miaclaire.etsy.com/ . I am planning on launching a new website, www.miaclaire.com in the upcoming months. I am excited about this new site. 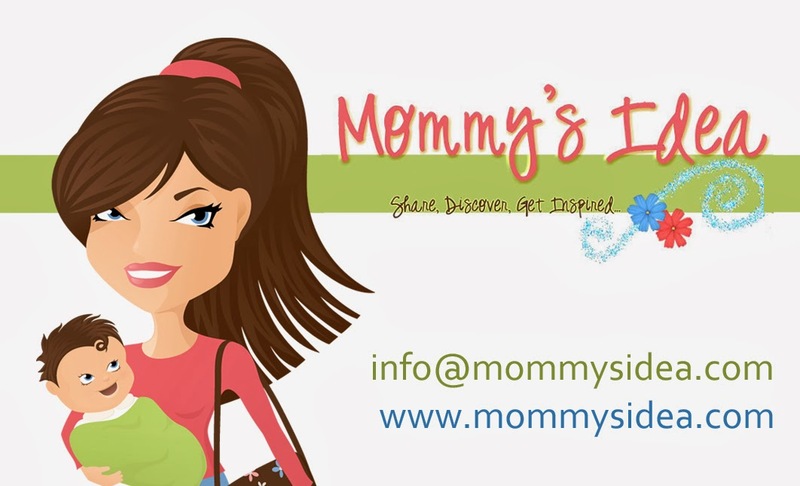 I will have items not only for mom and baby but special edition items from fellow Mommy bloggers . Tupperware is a good old Mommy Approved item! They offer so many wonderful solutions to every day storage needs as well as some great new items to help Mommy relax and take 5 for herself! Mia Claire is mom-owned and Mom-created!! I scoured the internet and trade shows for some of the best Mom made, Mom invented items! I am excited to showcase these on my up and coming site!! Stay tuned! I started blogging a few months ago. I started small and simple with a blog about my Single Mom journey, and then I got into making baby onesies for friends and jewelry for myself and making hair bows for my daughter. I decided to start selling some of my creations on Etsy. My Single Mom blog soon exploded and with blessings from some of my fellow mommy bloggers, I started my second blog chronicling my fight with Chronic Epstein Barr, one of the diseases that I suffer from. I am now a new Contributor to The Posh Parent, a new and up and coming Social Network. I will be writing about kid's… recipes and fun homemade things that you can do with your children that are quick and easy! I am excited and passionate about what I do! Please visit my blogs and my sites and comment if you like what I do! Comments keep me going!!! I would love to have the Cook's Complement Set. The sandwhich lunch set looks really handy! I so need the CrystalWave™ Divided Dish Perfect for Lunches! I have been coveting the Squeeze-It™ Decorator lately, Tupperware is really neat stuff. I have signed up for emails from Claire. I like the Vent n Serve products. I adore the fall collectible tumblers...ooh I like the holiday ones too! I really like the quick shake container. I lost the one I had in a move & really miss it, I used it all the time. Oops, I forgot, I signed up for Tupperware Claire's emails & your new forum! i would love to have the squeeze it decorator... how fun to learn how to decorate cakes! I love my quick shake container, but it is getting old - bought when I first got married over 35 yrs ago. I would love to win a new one. I like the squeeze it decorating tool. Impressions Classics Bowl is my favorite. I really need one of these shakers!!!! I was just at a tupperware party 2 weeks ago this Saturday and I saw they have a Blooming Teapot! I was shocked. My mother-in-law asked my mom if she could look for one of them in Germany, where my mom is living for 18 months, and Tupperware sells them. Too cool! I would love a quick shake container! My mother-in-law and her mom both have one and use them all the time. I like the Holiday Round Canister Set it's very festive!! I love the Modular Mates. I have a pantry full of them, but I always find myself in need of more! PS I signed up for your newsletter. Wow, the Tea Infuser looks awesome! The 4 bowl thatsa bowl set would be great. "Simple Indulgence™ Classic Scone Mixes" sounds great, I didnt know tupperware did food stuff! "Twistable™ Peeler" is also neat. I want the Squeeze It Decorator. That would be perfect for the holidays! I love the childrens feeding set. I had one when mine were little and I'd like to get one for my sis in law who just had her first child. I have been wanting one of these shakers! No wonder I couldn't find it at Wal-Mart! I love the twistable peeler too! I subscribed for extra entry! I'd love the food chopper. Thanks for the great contest! I love the Modular Mates. I've used Tupperware since my mother introduced me to it. I grew up using Tupperware - I would love to get my sons the Children's Everyday Set. The Holiday Round Canister Set looks great. Insulated Tumbler with Drip-Less™ Straw Seal would be great for car rides with my kids...but this quick shake has been something on my watch list for a long time! I love the Cake taker set. The Modular Mates look cool. i like the sheerly elegant olive oil bottle! i NEED that! Holiday Baking Set is my pick. 4 Pc. Thatsa™ Bowl Set, they seem like they would be used all the time! I really need new Sandwich Keeper Sets. All the products are wonderful. I like the large spice set with carousel. At last, I would have all my spices at my fingertips. I like the can opener. I like the tea infuser. It's interesting. My favorite item is the Fall Collectible Tumblers. SO many things! I would love the Holiday Set, or the spice set, or the Divided Vent and Serve. I love tupperware! Jack-O-Lantern Onion Keeper, because I never know what to do with fresh onions. I like the Holiday Round Canister set. I need some canisters for baking items that I don't keep out on my counters, like brown sugar, wheat flour, etc. Like the twistable peeler. Thanx for the contest. Vent n Serve products would be very helpful! Thanks for the giveaway! That Quick Shake Container would be so handy! My favorite from the site is the Squeeze-It Decorator, maybe if I had that then my kids' birthday cakes would look a little nicer. I would love to get the 4 Pc. Thatsa™ Bowl Set. Thanks for this great giveaway! I like the salsa set! I would love the Multi Mini Set. My favorite item is the Children's Everyday Set . Great for the kiddos. I would love to have children's everyday set. Since I clicked off the page, I forgot the exact name of it, but, it's the squeezable decorating item. I always wondered how I could ever make an eclaire. Now I see just the gadget I need. I would love the Mickey Ice Tups - we love to make things like this for our boys and I know my mother still has similar ones from way back. Thanks for the great giveaway. I love the Holiday Baking Set! The twistable peeler look like a cool tool for a foodie like me. Great giveaway, thanks! The Squeeze It Decorator. Thanks for the contest. I would love the snack cups. I like the Squeeze-It Decorator!! I would love to have the Spice Set with Carousel, as this would help with our kittens since they like to knock them over. The Cake Taker Set is real nice. Hands down, the quick shake container. I have a few of them that I use SO many times for everything...pudding, gravy, soups, iced coffee (save and drink right from container), dressing,etc...it is and always has been my favorite tw product. THANKS so much...I use them so often and need more. Oh I love the The Twistable Peeler, I just threw out my old wooden handled one that was not peeling. I like the refrigerator stackables set! Shape-O® Toy is a family favourite and classic! Thank you for the great review and blog. I really like the Multi Mini Set this would give my daughter her own stuff. I like the Holiday Tumblers. I love everything on Claire's Tupperware site! I want to buy it all!! I signed up for e-mails from Tupperware Claire. I would like to have the Modular Mates. And I hope to win the Quick Shake Contaner! I like the TupperLiving Blooming Teapot. Thanks! I like the Fridge stackable set. How do you choose just one Tupperware item? Well I guess it would be the silicone wonder mat. But there's many others I love. I love the Rectangular Cake Taker. It's perfect for all the baking I do. The see-through tea pot would be awesome. The Blooming Tea Party sounds like fun! The children's everyday tupperware set would be nice! Thanks. I really love the Holiday Baking Set. Thanks for the chance. Love the Vent 'N Serve! I like the TupperLiving Tea for One. I've always wanted one of those. I really love the Blooming Teapot. I'd also like the sandwih lunch set. I love the Microfiber dusting mitt - tuperware has come a long way! I would love to have the TupperLiving™ Blooming Teapot. I have the Vent 'N Serve™ Small Round Set on my "I Want" list. I love the "Tupper Living" teapot. It's so cute! WOW I never knew tupperware was sold on line. I like the 4 Pc. Thatsa™ Bowl Set. That looks very nice. There were so many things my kitchen would love to own, but I really liked the Vent n Serve products. I would love the spice set! i love the classic clear midgees. all of the items look great - give me any of them! I like the Holiday Round Canister set. I like the build a train toy, More importantly my son would love it! He is obsessed with trains! I love the fall collectible tumblers. I have my eye on the Insulated Small Oval Server. Functional, yet beautiful. I love the new Vent ’N Serve. I have tons of Rock n' Serves but I would gladly step up to these. I love the holiday cannisters to use for Christmas goodies! I'd love that. My mom had one when I was a kid and used it all the time, I need this!!! I would love to have the One Touch Reminder Canister Set. I like the One Touch Cannister Set. My last set of cannisters were glass and did not survive the move. I'm a subscriber via yahoo reader. The sandwhich lunch set really helpfull. I would love a 4 Pc. Thatsa™ Bowl Set. Nice time to buy too with BOGO Free. I'd love the holiday stencil set for my little guys! Thanks! I would love to have the Holiday Round Canister Set to decorate my kitchen - it seems my kitchen is always left out of the holiday decorating! I grew up with Tupperware so it's now time to start introducing the munchkins to the joys of Tupperware. To win any piece or set would be great. I would like the Cook's Complement Set. The twistable peeler looks really neat. I would love to have one of those! I really like the holiday canister set. I am a subscriber! I love the Pick-Em Up Truck! I could really use the Cook’s Complement Set. I love the heat n serve containers. All sizes are equally great. Thanks! I like the microfiber dusting mitt. I like the fridge stackables set. That makes so much more sense to me than keeping the deli bags. I subscribe to your email too. I subscribed to Claire's email too. With the holidays around the corner, I could really use the Squeeze-It Decorator! It looks much more efficient than the big frosting bags. I love the mini mix it set! My little man would love to "help mommy!" i want the twisty peeler! I love the insulated coffee mug.